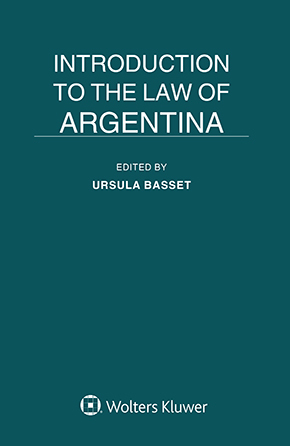 Introduction to the Law of Argentina provides an overview of the laws in Argentina. Argentina’s new Civil and Commercial Code, Código Civil y Comercial de la Nación, has led to the adoption of a number of modern institutions in several branches of law. This book provides a review of them by identifying the basic legal sources and concepts of Argentinian law as it stands today. It offers an up-to-date, systematic, and critical rendition of the principal branches of the law and provides the necessary historical background. This book is the ideal starting point for research whenever a question of Argentinian law must be answered. A detailed bibliography follows each chapter. This book kicks-off the measures to conduct an in-depth research on the Argentinian law by covering main legal disciplines. Thus this book serves as a handbook for interested parties with a speedy and reliable opening to whatever aspect of Argentinian law they need to study. This concise and practical guide is an invaluable resource to practising lawyers, business people, government officials, academic researchers, and law students interested in an overview of Argentinian law and institutions.